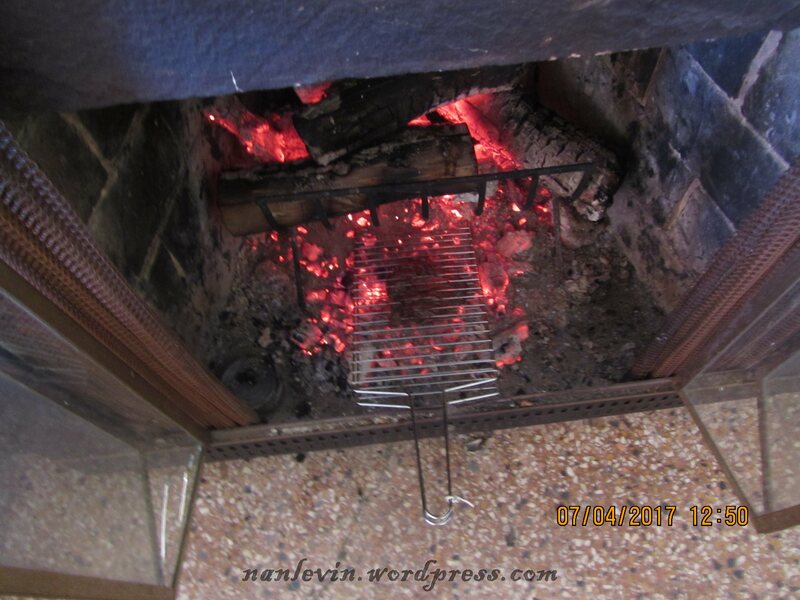 I decided to make use of the fireplace and make our lunch in it today. 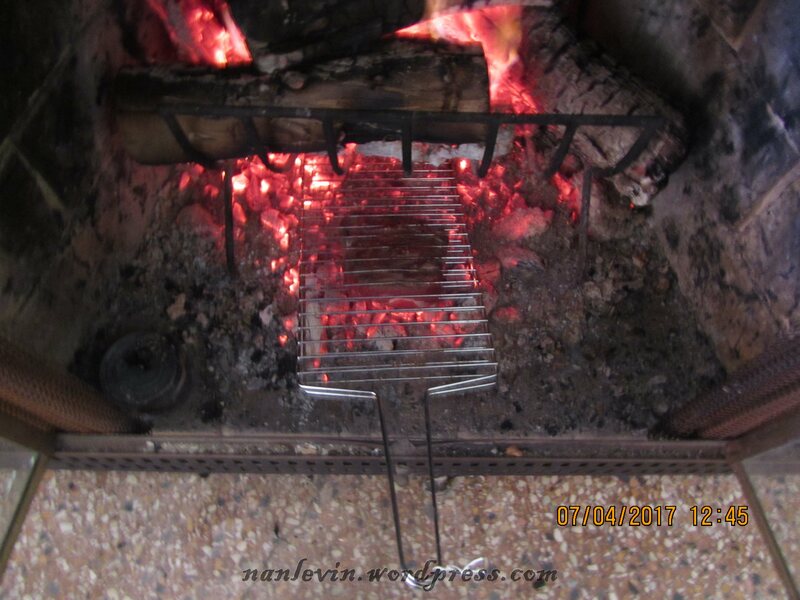 I know I am starting to act like Mrs. Ingals on Little House on the Prairie (or Francis Mallmann for you foodies). This house does have two parrillas but I had a perfectly good fire going in the fireplace why would I want to make more work for myself. 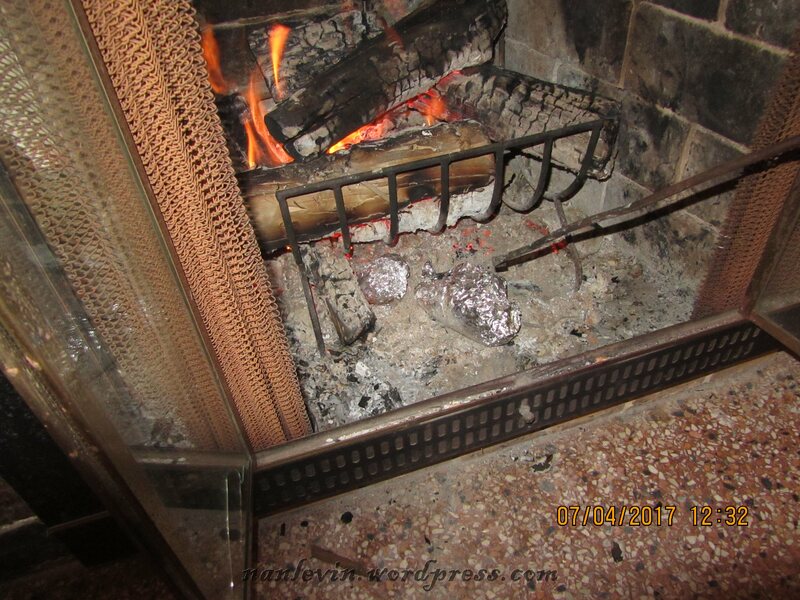 SO I wrapped a white potato and a boniato sweet potato in tin foil and dropped them under the grate on the hot coals. 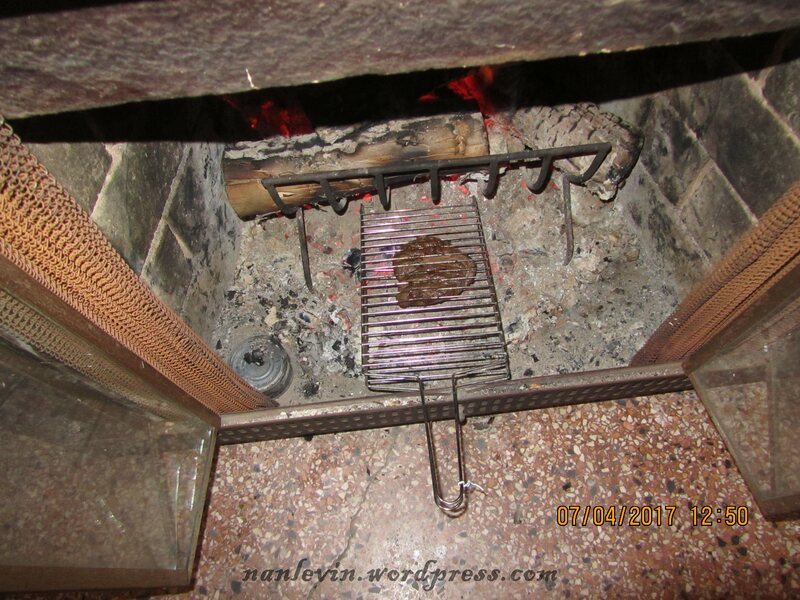 Then I took a beautiful piece of Rib Eye steak called Ojo de Bife Angus here and set it up next to the wood fire just above the hot embers. Lunch is served! I made a fresh chimichurri sauce to go with the steak as I had just purchased fresh cilantro as well as fresh parsley, added some spices, olive oil, salt and fresh ground pepper and fresh lemon juice. YUMMY It looked great. 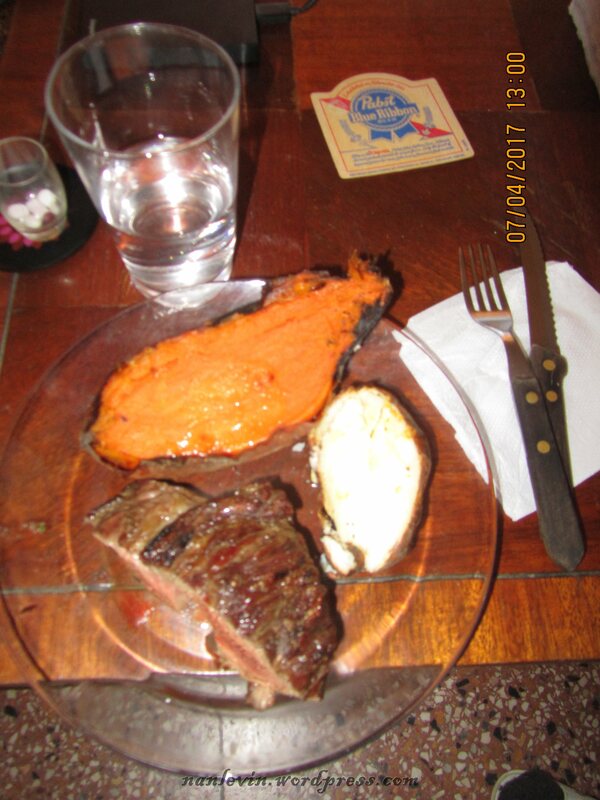 It tasted great and I would make my steak this way again. And hey, potatoes are vegetables. And for dessert we shared an alfajor. 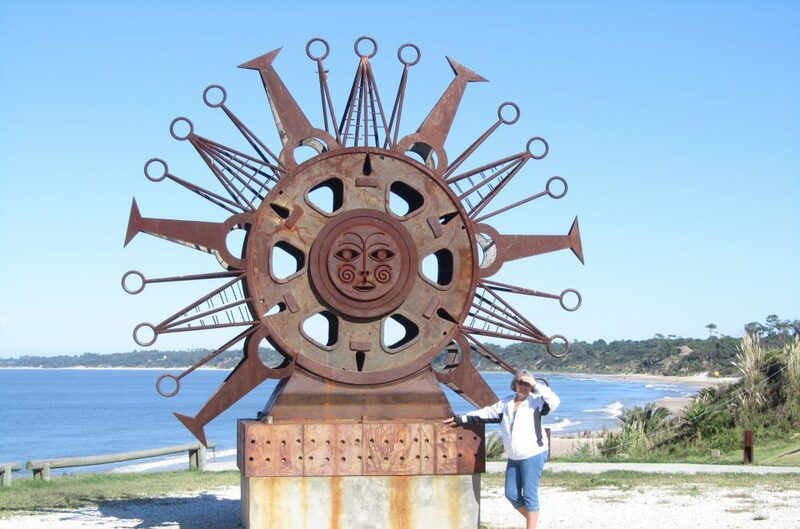 This entry was posted in Atlantida Uruguay, Beef, Cooking, Potatoes, Rib Eye Steak (Ojo de Bife Angus), Sweet Potatoes and tagged Atlantida Uruguay, Beach living, South American by Nancy Levin. Bookmark the permalink. 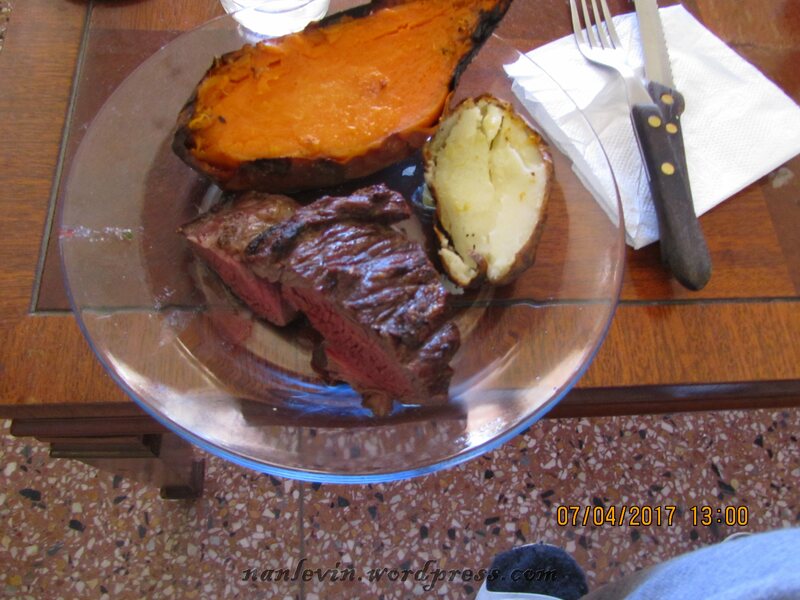 Oh my goodness, I’m jealous, you have real sweet potato and rib eyes…wow, yum !